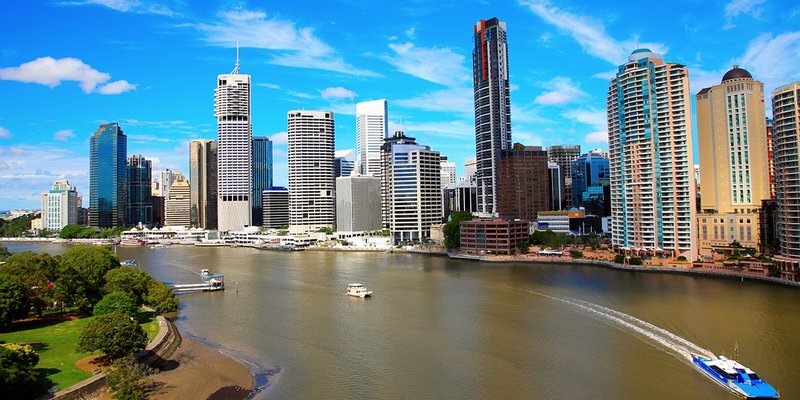 Brisbane offers a highly unique combination of affordability (particularly south of Brisbane) and great investment return, spurring renewed interest from interstate and overseas. The 2018 Commonwealth Games (Gold Coast) and other major projects will further increase commercial activity in Greater Brisbane. Ensuring that there is a healthy level and mix of future developments is crucial for Brisbane, in order to support population growth and also increase economic growth potential. This will have a positive spill-over effect on the property industry, ensuring sustainable level of capital growth in the medium and long-term future. Over the past 15 months to 2016/Q1 2017, Brisbane City LGA house median price experienced 4.8% growth, whilst unit prices softened by -1.3%. Similar to the Brisbane Hotspots 2nd half 2016 report the Western suburbs recorded the strongest house price growth (6.3%), and the northern suburbs lead unit price growth (1.4%). The northern suburbs is the only area to record positive growth for both houses and units. "Over the past approx. 12 months there has been a change in the amount of suburbs accessible to Brisbane property buyers within 20km of the CBD"
"Buyers in the Brisbane market can still access the majority of the market with a $500k-$750k budget"
Buyers in the Brisbane market can still access the majority of the market with a $500k-$750k budget, however there has been a decrease in this space over the past twelve months from 46.3% to 41.7%. Interestingly the under $500k market remained stable, suggesting two possibilities – either there has been an increase in stock within this price range or suburbs that was once upon a time unknown (however extremely affordable) are becoming more gentrified and sought after. The high-end market in Brisbane is starting to form, particularly $750k - $1.25M. This suggest room for those wanting to provide boutique upscale living options. "Ascot, New Farm, and Teneriffe has emerged as Brisbane’s priciest suburbs"
Ascot, New Farm, and Teneriffe have emerged as Brisbane’s priciest suburbs, with house median prices of $1,338,000; $1,400,000; and $2,000,000 respectively. Interestingly rental yield in these suburbs are quite low when compared to Brisbane’s house average of 3.9%; at 3.1%, 2.8%, and 1.8% respectively. The PRDnationwide capital city hotspots series highlights three main hotspots suburbs for each property type (house and units), within 20km from the CBD. These hotspots were chosen based on a number of factors, the prime deciding factor being their affordable prices (i.e as close as possible to the state’s average home loan) and level of new project developments in 1st half 2017. More often than not these hotspots have a high level of liveability from the perspective of amenities, transport, and existing infrastructure; as well as strong investment fundamentals in terms of rental yield. * Note: Total Projects is reflective of aggregate quoted estimated value of residential, commercial, industrial, infrastructure, and mixed-use development; based on reported land construction values as stated by the relevant data authority and do not signify their commercial/resale value. ** Indicates projects in a neighbouring suburb, which will have a spill-over positive effect on to nominated suburb. "Brisbane’s rental market remains attractive, with house rental prices remaining stable"
Brisbane’s rental market remains attractive, with house rental prices remaining stable at $380 over the past 12 months to Q4 2016. Meanwhile unit rental prices has increased by 2.7% to $385 within the same time frame, with 2 bedroom units proving to be a very attractive investment option – increasing by 4.1% from $370 to $385. Over $5.3B of commercial, infrastructure, industrial and mixed use projects are scheduled to commence in the first half of 2017, underlining Brisbane’s increasing economic growth potential. 39.6% of Brisbane’s 1st half 2017 projects is invested in increasing dwelling stock, with $1.4M worth invested in residential projects and $0.7M in mixed-use projects. "Improving infrastructure is a key concern in Brisbane"
Improving infrastructure is a key concern in Brisbane, with 35.8% of estimated total development being invested in this sector. The main infrastructure development (approx. $1.0B) is the upgrade to existing and construction of new Brisbane Airport runway. Commercial and industrial projects ($1.1M and $0.2M respectively) balances out Brisbane’s development plans, geared to attract more commercial activity and business in order to support local job growth.